Cristiano Ronaldo agreed with former team-mate Isco that Real Madrid "can't cry" over his departure from the Champions League holders. Isco dismissed renewed talk of Ronaldo's importance to Madrid amid the club's slump following five matches without a win. 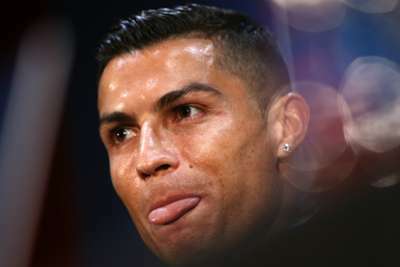 Madrid attacker Isco said "we can't cry about someone who didn't want to be here" after Ronaldo joined Serie A champions Juventus in the off-season. Ronaldo responded as Juve prepare for Tuesday's Champions League Group H match against Manchester United at Old Trafford, where the 33-year-old forward won nine trophies during his six years from 2003 to 2009. "I'm absolutely fine with them," the five-time Ballon d'Or winner told reporters. "You can't cry; that's true." Ronaldo has scored five goals in nine Serie A appearances since arriving from Madrid in a €112million deal.